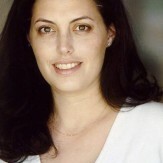 The African Summit on Ophthalmology and Eye which is going to be held during October 19-20, 2019 in Johannesburg,South Africa which brings together a unique and international mix of large and medium pharmaceutical, biotech and diagnostic companies, leading universities and clinical research institutions making the conference a perfect platform to share experience, foster collaborations across industry and academia, and evaluate emerging technologies across the globe. Afro-Ophthalmology 2019 maximizes the opportunity to interact with and learn from your peers from across the country and across the globe it held with the discussions on Retina and Retinal Disorders, Cornea and External Eye Disease Neuro-Ophthalmology, Glaucoma: Visual Field Loss, Ocular Microbiology and Immunology, Novel Approaches to Ophthalmology Therapeutics and many more. Retinal disorders, optic atrophy, and lesions of the higher visual pathways are the main anatomical causes of visual loss in children. WHO reports that, 285 million people are estimated to be visually impaired worldwide: 39 million are blind and 246 have low vision. About 90% of the world's visually impaired live in low-income settings 82% of people living with blindness are aged 50 and above. Globally, uncorrected refractive errors are the main cause of moderate and severe visual impairment; cataracts remain the leading cause of blindness in middle- and low-income countries. Many European associations are involved in Ophthalmology and many eye banks are actively promoting the donation of eyes in Europe, addressing a gap in the ophthalmic market, the global ophthalmic market was valued at $10.3 billion in 2010 and is estimated to reach $13.2 billion in 2017. With members from around the world focused on learning about clinical ophthalmology, this is the single best opportunity to reach the largest assemblage of participants from the ophthalmology community. Conduct workshops, distribute information, meet with current and potential customers, make a splash with a new product line, and receive name recognition at this 2 days event. 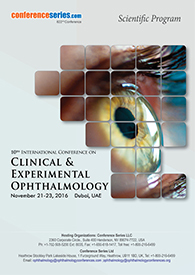 World-renowned speakers, the most recent techniques, tactics, and the newest updates in field of ophthalmology are hallmarks of this conference. On behalf of Scientific Committee we cordially invite you to participate at the African Summit on Ophthalmology and Eye to be held during October 19-20,2019 at Johannesburg,South Africa. 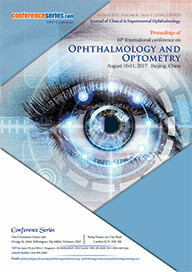 The theme of the conference is “Visualizing the global advancements in ophthalmology”. 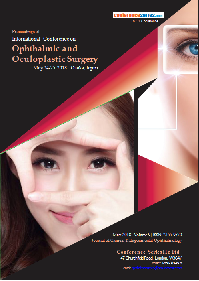 3rd International Conference on Ophthalmology July 10-11, 2018 Bangkok, Thailand; International Conference on Ophthalmic surgery and Oculoplastics May 24-25, 2018 Osaka, Japan. Glaucoma is a multifactorial optic neuropathy that affects more than 50 million people and is the second leading cause of blindness worldwide. The role of intra ocular pressure (IOP) has been well documented as a major modifiable risk factor for glaucoma. Additionally, many glaucoma patients have a relatively low IOP, while some healthy individuals have a relatively high IOP. The disorders can be roughly divided into two main categories, open-angle glaucoma and closed-angle glaucoma. Impaired ocular blood flow regulation in open angle glaucoma as a risk of glaucoma has also been well established, especially over the past two decades. Pathophysiology of glaucoma indicates towards the increased in intraocular pressure which compresses and damages the optic nerve. Once the optic nerve is damaged, it fails to carry visual information to the brain and this result in loss of vision. The exact pathophysiology of glaucoma contributing to this is yet to be determined. Biomarkers for glaucoma have predictive use that could help and guide more specific therapy in some glaucoma patients. Endothelin in glaucoma treatment play a very key role in pathogenesis of glaucoma. Many eye sicknesses have no early side effects. They might be effortless, and you may see no adjustment in your vision until the infection has turned out to be very best in class. The absolute most ideal approach to secure your vision is through customary expert eye examinations. Obviously, between examinations, in the event that you see an adjustment in your vision – or you think your eye might be harmed in any capacity – contact your eye mind proficient promptly. Age-related macular degeneration (AMD) is the physical unsettling influence of the focal point of the retina called the macula. Diabetic Macular Oedema, DME, is brought on by liquid collection in the macula. Patients with DME ordinarily encounter obscured vision which can be extreme. 10th International Conference on Clinical and Surgical Ophthalmology August 07-09, 2017 Beijing, China; 32nd Asia-Pacific Academy of Ophthalmology Congress, March 1 - 5, 2017 Singapore; 3rd International Conference on Optometry and Vision Science August 07-09, 2017 Beijing, China; Hawaiian Eye, January 14-20, 2017 Kauai, Hawaii; AGS Annual Meeting, March 2 - 5, 2017 Coronado, California; 2nd Global Pediatric Ophthalmology Congress, June 05-06, 2017 Milan, Italy; Retina World Congress February 23-26, 2017 Fort Lauderdale, Florida; 2nd International Conference and Expo on Cataract and Refractive Surgery, July 10-11, 2017 Berlin, Germany; 9th Global Ophthalmology Summit March 15 - 16 ,2017 London, UK; 11th Global Ophthalmologists Annual Meeting June 29-July 01, 2017 Bangkok. This is a gathering of relevant investigations to offer you some help with getting a comprehension on the regular history and beginning examination of various ophthalmic issue. The talk, but concise, is relied upon to give you an essential chart of each sickness. It covers the subject of veterinary ophthalmology, reconnaissance, clinical and comparative ophthalmology, research and reviews of naturally occurring ocular diseases in animals, experimental models of eye diseases of humans and animals, anatomy and physiology of animals' eye and ophthalmic pharmacology. There are also special editions devoted to hippological and felinological ophthalmology. An extensive number of the diseases, minute creatures, parasites, and developments that can assault the human body are moreover prepared for striking the surface or within the eye. The customary tendency for immunologic illness to impact the eye gets from different segments, for instance, Antibody-subordinate and immunizer mediated diseases, Uveitis, intraocular disturbance and cell-intervened disorders. The sheltered system accepts an essential part in the midst of transplantation and as the corneal transplantation has ended up being continuously typical since the 1960s and in excess of 40,000 transplants were performed in 1990 in the United States and Canada. The 5-year disillusionment rate for corneal associations is around 35%; corneal association rejection is the most surely understood purpose behind joining frustration in the late postoperative period yet with the late change in immunotherapy can be a jump forward to defeat from each one of the limitations of the standard procedures. The microbiological defilement, for instance, infectious endophthalmitis can impact the vitreous and front get together of the eye and in this way the vocations of neutralizing agent poison in visual illnesses have been extended to beat these conditions. The consumables, equipment and advancement advertise in the microbiology business totaled nearly $7.7 billion of every 2012. This total is depended upon to create from $8.5 billion of every 2013 to $11.4 billion out of 2018, with a compound yearly improvement rate (CAGR) of 6.1% for the five-year time frame, 2013 to 2018. The vestibulo-ocular reflex (VOR) is a reflex, where activation of the vestibular system causes eye movement. This reflex functions to stabilize images on the retinas (in yoked vision) during head movement by producing eye movements in the direction opposite to head movement, thus preserving the image on the center of the visual field(s). For example, when the head moves to the right, the eyes move to the left, and vice versa. Since slight head movement is present all the time, VOR is necessary for stabilizing vision: patients whose VOR is impaired find it difficult to read using print, because they cannot stabilize the eyes during small head tremors, and also because damage to the VOR can cause vestibular nystagmus. The VOR does not depend on visual input. It can be elicited by caloric (hot or cold) stimulation of the inner ear and works even in total darkness or when the eyes are closed. However, in the presence of light, the fixation reflex is also added to the movement. In other animals, the gravity organs and eyes are strictly connected. A fish, for instance, moves its eyes by reflex when its tail is moved. Humans have semi-circular canals, neck muscle "stretch" receptors, and the utricle (gravity organ). Though the semi-circular canals cause most of the reflexes which are responsive to acceleration, the maintaining of balance is mediated by the stretch of neck muscles and the pull of gravity on the utricle (otolith organ) of the inner ear. The VOR has both rotational and translational aspects. When the head rotates about any axis (horizontal, vertical, or torsional) distant visual images are stabilized by rotating the eyes about the same axis, but in the opposite direction. When the head translates, for example during walking, the visual fixation point is maintained by rotating gaze direction in the opposite direction, by an amount that depends on distance. The field of Ophthalmology: Ocular treatment & care is growing rapidly and its development is making tremendous impacts in medical and health sciences and pharmaceuticals. The importance and significance can be gauged by the fact that it has made huge advancements over the course of time and is continuing to influence various sectors. African Summit on Ophthalmology and Eye will concentrate on latest and exciting innovations in areas of eye surgeries, diagnostics and recent technologies towards eye care. 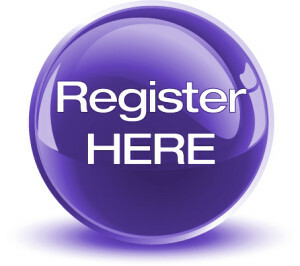 Afro-Ophthalmology 2019 is designed to comprise of Keynote sessions, Workshops and focused symposium on latest developments in the field of one of the sense organ Eye health. The two-day Afro-Ophthalmology 2019 conference includes major sessions on detailed overview on Retinal diseases and disorders, Research Trends in Surgical and Medical Ophthalmology, Novel Approaches to Ophthalmology Therapeutics, Ocular-Pathology, Optometry and vision science. 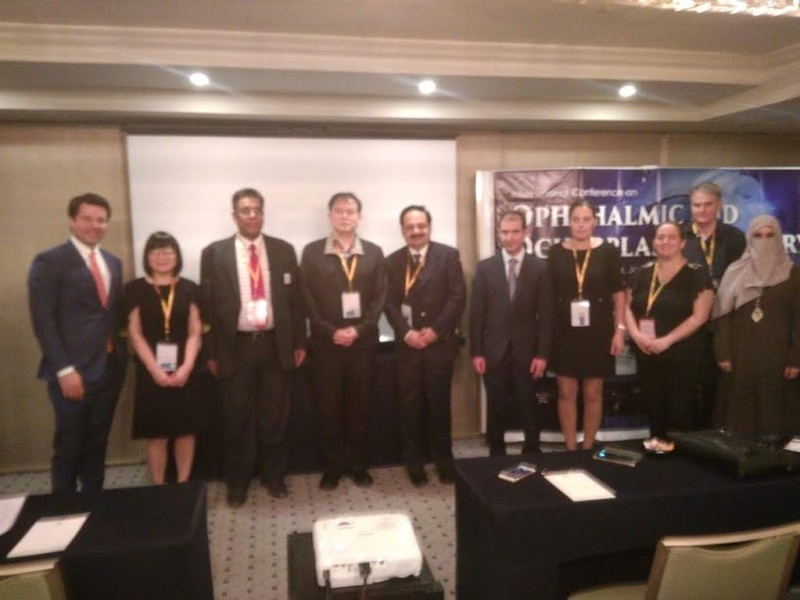 In the presence of inter professional researchers and practitioners involved in the development of high quality education in all aspects of clinical skills, Conference series LLC ltd International Conference on Clinical Ophthalmology and Oculoplastic Surgery was held during May 24-25, 2018 in Osaka, Japan. Conference series LLC ltd played host to a diverse panel of key members of the Ophthalmology community from research lab, industry, academia and financial investment practices, discussing the future of Ophthalmology specialties. This event was really aimed for examining where the real ophthalmological specialties are going in the future and purpose of the event was to provide an opportunity for cross fertilization of ideas and development of ideas, in the field of Ophthalmology. 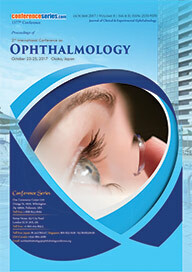 The conference aimed a parallel rail with theme “Advances in Clinical Ophthalmology”. Focusing on Retina and Retinal Disorders, Cornea and External Eye Disease, Glaucoma: Visual Field Loss, Neuro-Ophthalmology, Ocular Microbiology and Immunology, Research Trends in Surgical and Medical Ophthalmology, Ophthalmic Research and Drug Development, and Novel Approaches to Ophthalmology Therapeutics as well, the two days of discussions enabled professionals to gain an insight into the current innovations and opened up networking opportunities. Ophthalmology 2018 Organizing Committee would like to thank the Moderator of the conference, Dr. Janardan Kumar, Becker College, USA for his contributions which resulted in the smooth functioning of the conference. The highlights of the meeting were the eponymous lectures, delivered by Christopher B. Chambers from University of Washington, USA, Melike Ozgun Gedar from Bahcesehir University, Turkey, A. Venkatachalam from Sadhuram Eye Hospital, India etc. These talks were of great interest to the general ophthalmologists and were enormously informative. 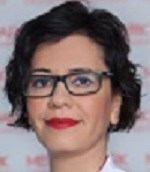 The International Conference on Clinical Ophthalmology and Oculoplastic Surgery was a great success with the support of international, multiprofessional steering committee and coordinated by the Journal of Clinical & Experimental Ophthalmology, International Journal of Ophthalmic Pathology and Biological Systems: Open Access.